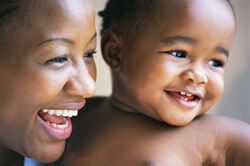 WIC stands for Women, Infants and Children. It is a nutrition program that provides healthy food, nutrition education and other services free of charge to Georgia families who qualify. Find out if you and/or your children may be eligible. Come to our Baby Shower for Moms-to-Be and New Moms! Visit the Locations page to find a WIC office near you.